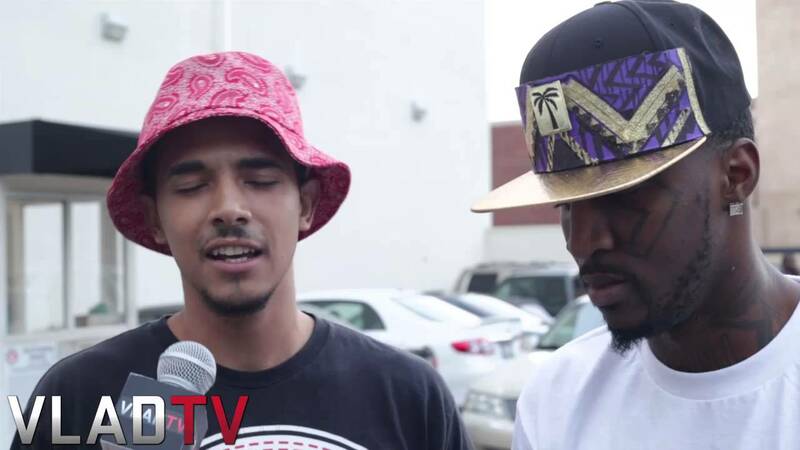 http://www.vladtv.com – Daylyt and Cali Smoov chopped it up with VladTV at the FilmOn TV “Ether” battle event about their past battle where Daylyt attempted to twerk on his fellow Krack City member. Cali and Daylyt clarified that there was no physical contact that occurred between them when the twerking attempt went down. They joked about how they were actually holograms in the octagon during the time of their promotional battle. Cali and Daylyt also opened up about a very serious altercation that they got into prior to battling, where a few men ran up on them with guns. According to Cali, Daylyt flipped out and they actually started fighting the men in the streets of Beverly Hills, which is why Daylyt came to the battle with his hand wrapped with a bandage.